While Apple ID could remain inactive or disabled for so many reasons, security concerns could also be a factor. Having problems with apple ID is no longer new and getting the fastest, best way to solve it is a top priority. In this article, what can you do if your Apple ID disabled for security reasons? There a few things you could try out to enable back your account, and while it is essential to solving the problem, it is also good to know the cause, signs and finally, the solution. Part 1. What Causes “Apple ID Disabled for Security Reasons”? Part 2. What to Do When Apple ID Disabled for Security Reasons? What Causes “Apple ID Disabled for Security Reasons”? If you tried accessing your phone and it keeps showing Apple ID disabled for security reasons, there is only one factor that has contributed to that, and that is, someone has tried logging in with your apple account id. Many hackers make use of this procedure and what apple does to protect your privacy is to automatically lock your device until when the original user has followed security protocols. Also, it could be as a result of someone close to you trying to access your apple account with the wrong password. Further trials or consistent “retrys” of this password will automatically disable your account until when enabled in the right process by the real owner. Before it disables totally, there are security questions provided to be filled, and such a person trying to gain access to your account must have answered incorrectly, prompting apple to disable you for security concerns. If you are left on what to do there are three options you could consider in enabling your account once again. Well, this option only works for people who have a used or second-hand iPhone. In this regard, it is expected that the previous user must have had his account on the device and trying to log in or open an account made it disabled on a security basis. However, when apple id is disabled while having no personal account, you could make use of a lock tool called iMyFone LockWiper which is useful and topnotch in performance. It will remove the previoureportnt permanently, so a new user can sign up for a new one and gain access to unlimited features. Removes an old Apple ID account without password with ease. You can access to your Apple ID/iCloud account after the removal. Gives user total control of the device after removal. Can work on all iOS version of iPhone, iPad, iPod Touch. Step 1. Download, install, launch and put the lock tool (iMyFone LockWiper) into action. Step 2. On the menu options, select “Unlock Apple ID” and then “Start to Unlock”. Step 3. 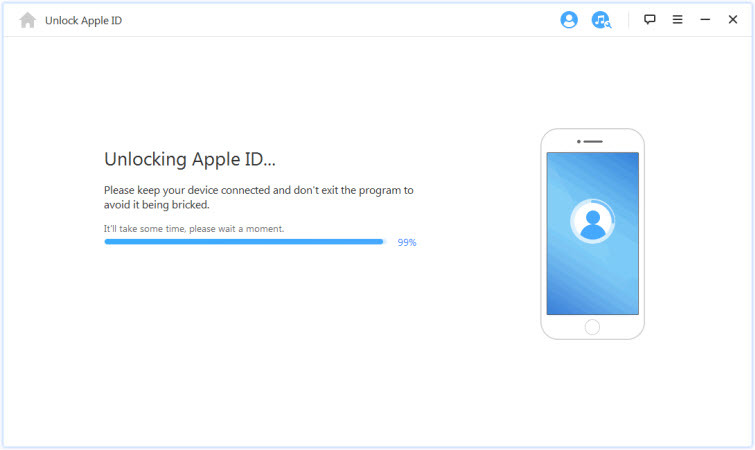 The tool will start immediately to unlock the Apple ID. Step 4. Process ends and both iCloud and Apple ID have successfully been removed. Note: As shown above, the steps are quite easy to remove the Apple ID on your device. However, please note that it only supports those already activate devices. However, there are critical things you should also consider in the security protocol and one of them is the two-factor authentication. If you have the two-factor authentication setup, you can choose a truste device or trusted phone number to unlock your Apple ID. Step 1: Go to Settings on your device and tap on your Apple profile. Step 2: Tap on Password & Security and then Change Password. Step 3: Follow the onscreen steps to update your password. Step 1: Go to your Apple Menu and then click on System Preference. Step 2: Select iCloud and then Account Details. Step 3: Click on Security then Reset Password. Step 4: Enter your password that you use to unlock your Mac to reset your Apple ID. Also, the second thing you should consider is the two-step verification feature. This can ensure you get your apple account running again. 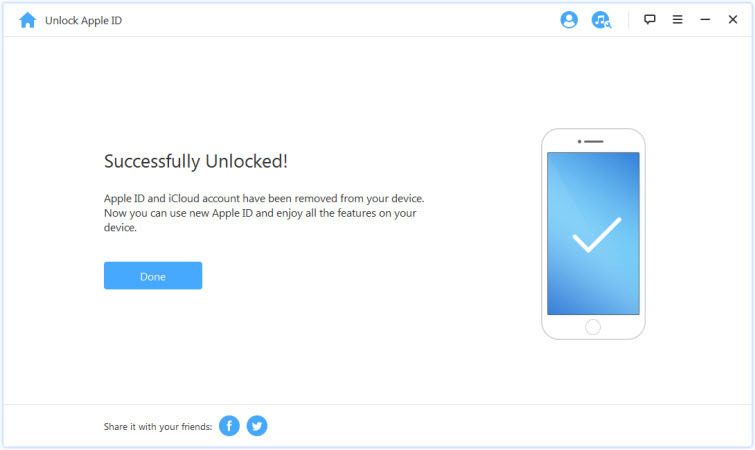 Here’s how you can use your Two-Step Verification that you’ve enabled to get your Apple ID back. Step 1: Go to iforgot.apple.com and enter your Recovery key. Tap Continue. Step 2: Choose a trusted device then you will receive a verification code. Step 3: Enter the verification code after you received it. Step 4: Click Reset Password to finish. Both are good, advanced, and simple but improved with extra layer security which allows only a user to avoid “if apple disabled for security reasons”. From the above, you can easily switch your account manually from two-step verification to two-factor authentication. 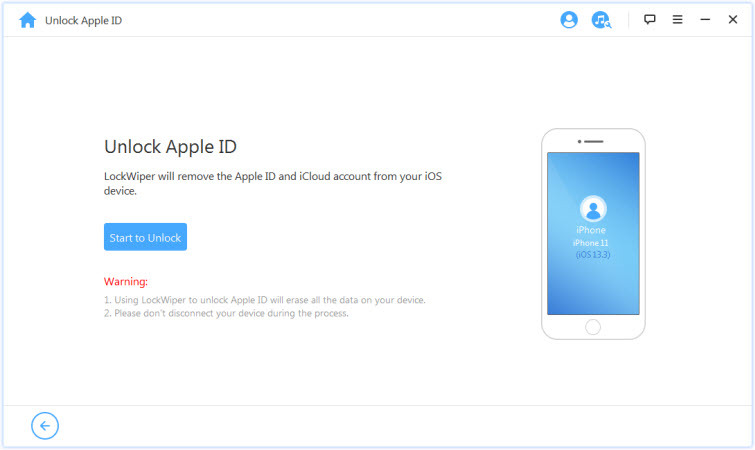 In conclusion, we have been shown the reasons why apple id could be faulty and if apple id disabled for security reasons, there are better ways to solve the situation and one of them is with the use of iMyFone LockWiper. Ensure you follow the steps carefully and take good note of factors that could limit its performance.